As with every Doctor, it’s all about the look. Whether it’s a pinstripe suit, a hole-filled sweatshirt, or the fez-that-shall-not-be-named, there’s something about how the Doctor dresses that inspires love (and cosplay inspiration) among millions of fans. When Jodie Whittaker makes her Doctor Who debut she’ll be rocking a new look she helped create. In an interview with Doctor Who magazine, Whittaker talked about how the BBC team created the 13th Doctor’s look, which you can view in full here. She said she and costume designer Ray Holman—who she also collaborated with on new showrunner Chris Chibnall’s Broadchurch—designed her outfit “from scratch” over the course of several months (they started working on it as soon as she was hired). The very first meeting we had about the costume was all very secret and incognito. As we were talking I was completely distracted by the color of the wallpaper behind us. I told Ray I absolutely loved that color, and that’s the color of the trousers...[Later on], I did try on a t-shirt that was off the [rack] and I really liked it, but there were elements of it that didn’t quite work. It kind of went through so many forms in Ray’s workshop — he cut it to the right shape and put the print on the front. Having the new Doctors collaborate on their wardrobes isn’t exactly new: Both Matt Smith and Peter Capaldi said they had input on their Doctor Who threads. Smith, for example, was the one who made sure the 11th Doctor wore a bowtie after former showrunner Steven Moffat said no to the idea. Smith put it on anyway, and the rest is costume history. 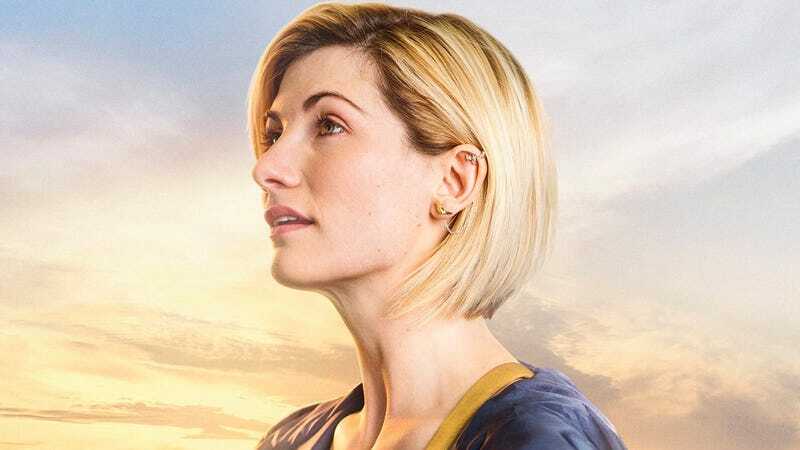 The BBC gave us a new revelation on her look yesterday when they posted this side view featuring several ear piercings. We look forward to seeing if/how those are explained in the show. 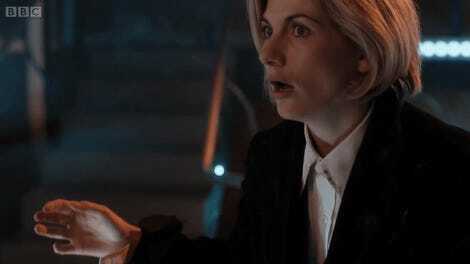 Whittaker is currently filming the latest season of Doctor Who, following her debut in 2017's holiday special “Twice Upon a Time.” Doctor Who is expected to return sometime this year.